​Q: What are your thoughts about the Center as a whole, looking at it from your new vantage point as chief economist? We know the Center has been working with the Texas Association of Realtors (TAR) and Multiple Listing Services (MLSs) to improve the quality and reliability of Texas housing data. A: Yes, we have. Beginning in January, we will be able to report MLS activity data for a specific geography. If we say the data is for an MSA, it will be for the counties that compose the MSA according to the Census Bureau’s definition of that MSA. We can then drill down and get county, zip code and other geographic specifics. This will allow us to tie the housing data to other government-related data and look at census tracts and neighborhoods. Q: One thing we need to be clear on is that the new data is not owned by the Center; we only have limited access to it for research purposes, correct? A: That’s true. That was our agreement with TAR and the MLSs. Obviously, these data are proprietary. The data and our access is governed by a rigorous research contract prohibiting public disclosure of the specific raw data. Q: What else can we look forward to? A: Our researchers agree that the Center needs to report not only data from the past (for example, sales figures for last month or last year) but also to provide analysis and insight regarding what we think the future will hold. So we are becoming more future oriented, more projection oriented. Q: About a year ago, you called oil prices “the big unknown.” What do we know now about the impact falling prices have had on the state’s economy? A: It looks like the price has more or less stabilized in the low 40s per barrel. The question is, at what price does it affect exploration and production, upstream energy and oil production and drilling? We can see effects already because the rig count is down almost 60 percent. Texas peaked at a little over 900 rigs in summer 2014. Since then, it has fallen to fewer than 350. When prices go down, there’s an immediate short-term impact — some people lose their jobs. But the multiplier impact and other ancillary impacts take a while to hit the marketplace. Center researchers have been studying this, and the consensus is that in Texas, it takes one to three years before we start seeing all of those impacts. That’s been true for at least the last three or four cycles in which there was a run-up in prices and upstream activity followed by a falloff. Because drilling of new wells has declined, eventually production numbers are going to start sliding. Q: This year, we’ve seen a gradual decline in the job growth rate in Texas. Should we expect this trend to continue in 2016? A: Yes. Three major things that will impact Texas’ economy in 2016 and probably on into 2017 are energy, the national economy and the value of the dollar. Job losses in the energy sector have not stopped and probably are going to pick up this year. As stated earlier, the real impact takes one to three years to hit the marketplace. The initial wave of job losses, including service companies cutting back, has already occurred. The support jobs are next. So the energy sector is going to have a negative effect on employment for at least the next 12 to 18 months. Number two is the national economy. If the U.S. economy is prospering and doing well in industries other than energy, such as health care, technology or business services, that will help buoy the state’s overall economy. Third — and most Texans don’t think of this one — is the value of the dollar. When the dollar is strong, it hurts our exports. Texas is one of the top states for exporting. A lot of our industrial and investment dollars are based on exports and exporting activity. Those are the big three concerns. But health care is in the mix, too. We’re seeing continued growth in hospitals, emergency centers and independent clinics. And many of the jobs being created are fairly high-paying positions. There is still an influx of technology and technology-related jobs. Businesses that have been headquartered on the two coasts — Silicon Valley in California and Boston on the East Coast — are figuring out that Texas looks good by comparison. The regulatory environment, labor, cost of living and taxes contribute to business development and growth. Our housing market has been strong, and Texas leads the nation in housing construction, both single-family and multifamily. In 2014 and continuing into 2015, both Dallas and Houston built more homes than many other states. Q: Let’s talk more about housing. Can you give us a recap of how the state’s housing market fared in the past year? A: Really well. I thought it was going to be a strong market, but I didn’t think it was going to be as strong as it has been. Across the board statewide, in terms of single-family home sales, 2014 was the second best year ever, second only to 2006, and 2015, through the third quarter, is on pace to do just as well and probably a little bit better. I don’t know if the volume will quite make the 2006 number, just short of 300,000 sales, but it’s going to be close. The home building industry will have strong numbers for 2015, well above average and more than last year. Studying the data, what stands out is that new home sales — not condos and townhomes but detached single-family home sales — are up over 9 percent from last year. Home builders in the state say they don’t need to build spec homes, although some are, because they can sell what they build before or during construction. Inventory of finished new homes is less than two months, and prices are considerably higher than last year. To give a data point, the average price of an existing home through third quarter 2015 was around $240,000. The average price of a new home was around $340,000. We know that home builders are building more on the high-end side than on the low-end side, and in some of our major metropolitan areas, because of labor costs, material costs and especially land costs, home builders find it almost impossible to build anything much under $200,000 or $225,000. So average and median prices of new homes are going up, but sales volume continues to rise. That supports the notion that the Texas housing market is probably going to continue reasonably strong into 2016. Q: Will 2016 be a good year to sell my home and buy a new one? A: It might not be a good year if you expect to choose from a large number of homes for sale. Because of the shortage of inventory, you’ll probably want to work closely with an agent or someone else close to the market on a day-to-day basis. In many markets, sellers receive an offer or multiple offers the first day properties come on the market. Even so, I think 2016 will be a pretty good year. Sellers likely will be able to sell quickly and for a good price, at least for the first half of the year. I think the housing market will slow down a bit in 2016. It’s not going to fall off a cliff, though. For the past four years there has been a significant imbalance between demand for housing and the supply offered for sale. I think demand is going to slow down. 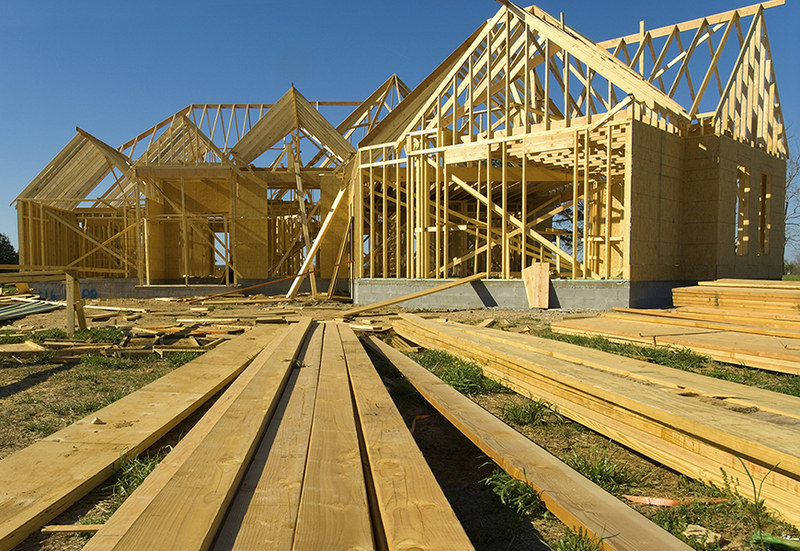 Home builders will continue to build and will find a good market for new homes. Some people will decide to buy or sell before interest rates go up. Q: How about your commercial outlook for 2016? A: The commercial outlook is generally positive, despite the fact that we expect the economy to slow down. Office markets in Dallas and in Houston are beginning to show some signs of this. Rates of absorption are declining. 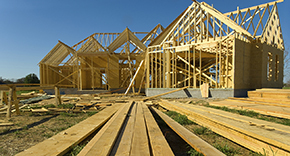 In Dallas and in Houston and, to some extent, in San Antonio and Austin, many construction projects that were started two or three years ago are just coming on the market. It’ll be interesting to see how that new space competes with the existing sublet space. The office market typically goes through cycles of heavy construction, followed by a lull to let the market catch up before beginning more construction. This type of supply is called “lumpy” – a good economics term. Retail is still going strong though actual physical space is in short supply because we never had a retail construction boom. Retail supply tends to be tied more directly to demand, that is, population and roof tops. Texas is a leading state for distribution of goods. The industrial warehouse sector in the North Texas area, particularly around Dallas-Fort Worth, is strong. Houston, with its busy international seaport and the high level of import-export that goes on there, is strong. The same is true in Corpus Christi, San Antonio and Laredo, where a project for a major warehouse distribution center will take advantage of the established transportation facilities and trade with Mexico.